Andrew Brunson is an American pastor who was imprisoned and then placed under house arrest in Turkey. Brunson was accused of alleged ties to an outlawed group. Brunson was ordered released on Friday, by a Turkish court, and sentenced to time served. This, ending a diplomatic dispute between Washington and the Turkish government. The court dropped espionage charges against Brunson, who faced up to 35 years in jail if convicted of all the charges against him. The 50-year-old pastor was targeted by Turkey as part of a government crackdown following a failed coup. Brunson was sentenced to three years and one month in prison for the conviction. 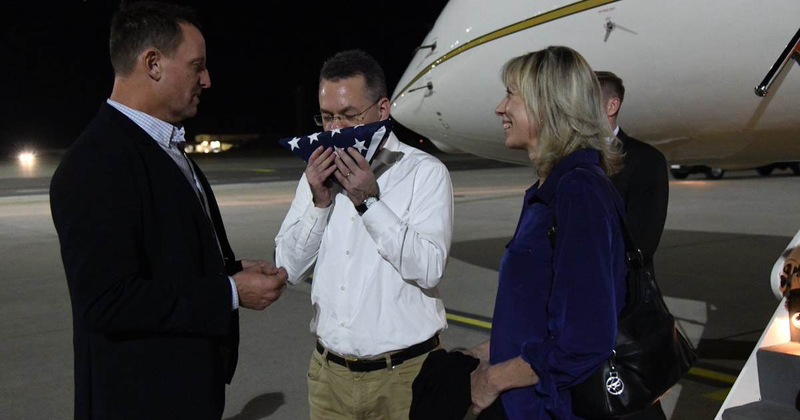 “This is the day our family has been praying for – I am delighted to be on my way home to the United States," Brunson said in a statement. Brunson’s fourth hearing on Friday at a prison complex in Izmir, he told the courtroom he's "an innocent man." “I love Jesus. I love Turkey,” Brunson said, according to the Associated Press. Witnesses said he wept as the verdict was announced. Prosecutors had accused Brunson of acting on behalf of terror groups and linking him to Kurdish militants and a network led by U.S.-based Turkish cleric Fethullah Gulen who is accused of orchestrating the 2016 coup attempt. Brunson, from North Carolina, led a small congregation in the Izmir Resurrection Church. He has maintained his innocence. Friday, at his hearing, Brunson again denied accusations that his church aided Kurdish militants. Brunson said he handed over to authorities a list of Syrian refugees the congregation had helped. "We helped everyone, Kurds, Arabs, without showing any discrimination," Brunson said, according to the AP. Brunson was arrested and detained for 18 months before being charged with a connection to the coup attempt. U.S. officials refuted the accusations against Brunson, and with mounting pressure from American politicians, Brunson was removed from prison and placed on house arrest in July. The Trump administration advocated persistently for Brunson's release, slapping sanctions on an array of Turkish officials and on some goods, sending Turkish currency into freefall. President Trump drew loud cheers at a rally on Friday evening when he announced that Pastor Andrew Brunson was heading home. “We bring a lot of people back,” the president told the crowd, apparently referencing the release of Brunson, the three American hostages from North Korea in May, and don’t forget, Trump also won the release of three UCLA basketball players who were detained in China last November. [email protected] on release of Pastor Brunson from Turkey: "He suffered greatly, but we're very appreciative to a lot of people." Thank you for the thorough article Lexy. It’s amazing how President Trump keeps bringing people back home when those who preceded him didn’t. Great article Lexy. It’s so easy to forget how many people President Trump has brought home from tough situations in other countries. President Trump puts our other Presidents to shame. He is the Best! Great article. Happy to see some good news! An did not take even a check in mail, unlike Obama and his plane loads of / $$$$$$$. I think most Americans (and to some degree, myself included) have forgotten what LEADERSHIP looks like. MAGA. >> 39327 Amazing isn't it/ Trump made step back from the entire sordid affair and use some common sense. God bless Donald Trump.